What Specific Grade Standards Apply To Produce Imports? Is My Produce Eligible For Import Into Canada? Do I Need An Import License To Import Produce Into Canada? What Is A DRC Number? What Are The Labelling And Packaging Regulations Of Produce Imported Into Canada? As some fruits and vegetables may contain pests that could be harmful to the Canadian environment, produce is regulated by specific measures based on its geographical origin and destination. When importing produce into Canada, you must know what government parties are involved, what regulations must be followed, and the fundamental aspects of produce imports. 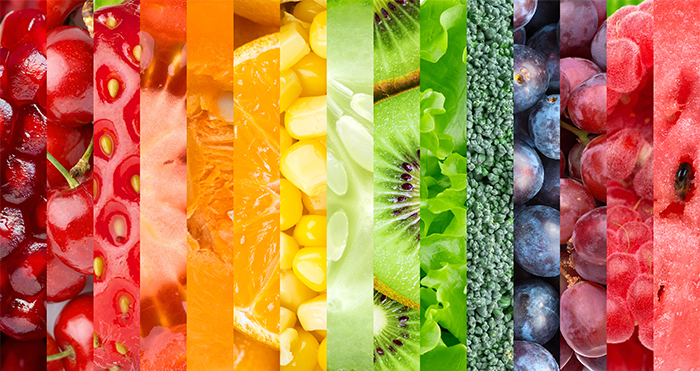 Many fruits and vegetables have specific grade standards that must be met in order to enter Canada. Ensure your produce is eligible for admission into Canada by referencing the CFIA Automated Import Reference System. You are required to hold a Safe Foods For Canadians (SFCR) Import License and become a member of the Dispute Resolution Corporation (DRC). Produce is subject to strict guidelines on labelling and packaging. Are you looking to start importing produce into Canada? Fill out the form below and a member of our Client Services team will contact you to get started. To find the specific grade standards that apply to produce imports visit the Import and Interprovincial Requirements for Fresh Fruit and Vegetables page on the CFIA website. In here you will find an overview of the federal requirements of the Fresh Fruit and Vegetable Regulations and the Licensing and Arbitration Regulations for the import and interprovincial marketing of fresh fruit and vegetables. Certain commodities from certain countries or regions are prohibited entry, such as crab apples from Brazil or strawberries from China. The CFIA Automated Import Reference System (AIRS) is a handy interactive tool that allows importers to check the admissibility of a wide variety of products. In order to confirm the import regulations you will need to know: the species of the produce, the state it is in (fresh, dried, packaged or not), the country in which it was grown (for the U.S., the specific state will be needed) and the destination in Canada. Visit the CFIA AIRS site for more information. Alternatively, you can consult the Plant Protection Directives to learn of the supporting regulations of the AIRS import requirements for the type of produce you would like to import. The Safe Foods for Canadians Act was introduced by the Canadian Government in 2012. The Act is meant to protect Canadian citizens by making food safe to eat. It does this by requiring all food entering Canada to meet its standards for safe food practices, increases control over food imports, makes food more traceable throughout Canada, toughens penalties for unsafe practices and increases inspection. If you import food into Canada you will mostly be required to obtain a Safe Foods for Canadians Import License. Read our blog Canadian Food Importers: New Regulations Affecting Your Imports for more information. Most companies providing food to Canadians will require a food import license under the Safe Food for Canadians Act. The CFIA has created this handy tool to determine if your business requires a food import license. Read our blog Safe Food For Canadians Regulations To Require License For Businesses for more information. A DRC number is a company’s membership number to the Fruit and Vegetables Dispute Resolution Corporation (DRC), which is an organization of members serving produce traders. For you to import fruits and vegetables into Canada, the Safe Foods for Canadians Act requires you to become a member of the DRC and obtain a DRC membership number. The labelling and packaging regulations of produce imported into Canada includes labelling your products in both english and french, listing the common name for the produce, and the packaging is predetermined. Fruits and vegetables are subject to strict labelling and packaging regulations so we encourage you to visit the Labelling Guide for Fresh Fruit and Vegetables for more information.